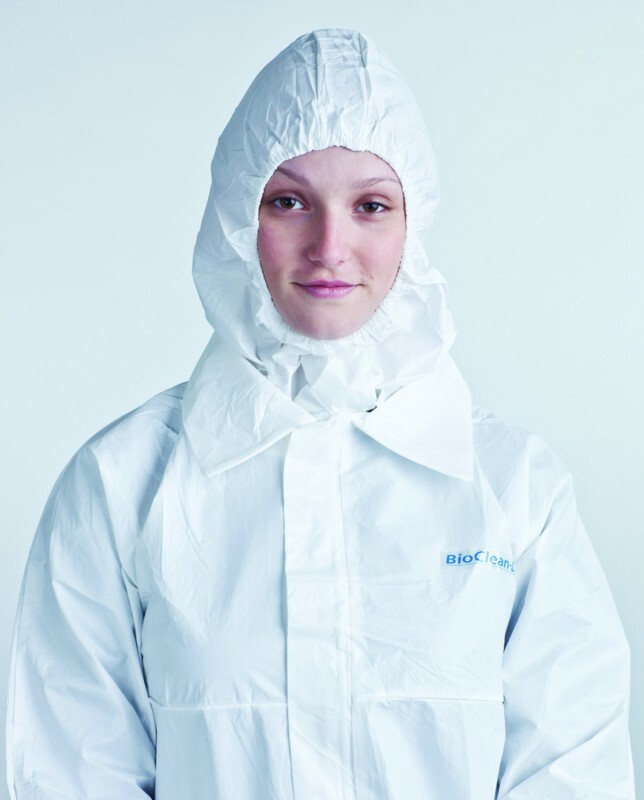 BIO-D quality garments are manufactured from a revolutionary new Clean-Tough fabric which is antistatic, lightweight, hard-wearing and compatible for use in ISO Class 4 cleanrooms. They have been carefully designed and researched to provide the wearer with both superior comfort and maximum protection. All Bio-D products are individually packed in a sealed bag. The special print encapsulation process ensures bags can be wiped down with cleaning or sterilizing fluids without fear of cross contamination. Available as sterile and non-sterile garments. 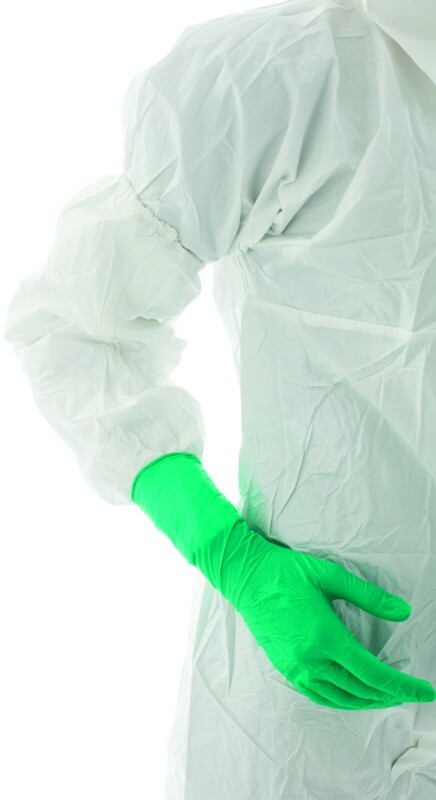 BioClean 100™ cleanroom face masks are 210mm in width to provide superior protection, and are clearly marked to differentiate the inner and outer surfaces. Rigorously tested, they provide industry leading levels of particle and bacterial filtration efficiency, combined with excellent breathability. The extra length conformable noseband ensures wearer comfort, and all variants are 100% latex-free to ensure no latex allergy problems. 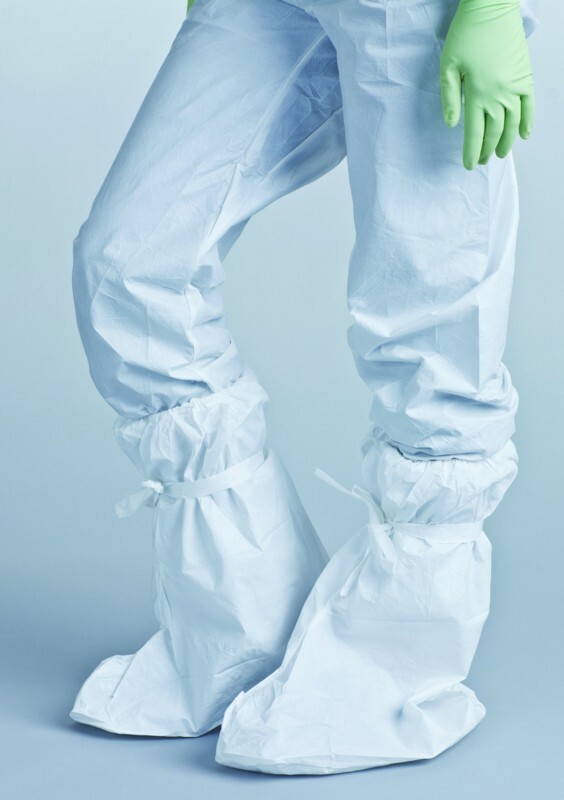 BioClean 100TM cleanroom face masks are manufactured from high performance material to ensure excellent seam strength. Sterile masks are individually packed and have minimal odour after sterilisation due to the use of high tech proprietary materials. ESTKBIO(size) Coat: Very strong seems, 2 hip pockets, chest pocket, open cuffs, rear vent, extremely strong fastening S-XXL 30 pcs. ESTÄBIO180 Sleeve covers: Elasticated openings, protection from wrist to upper arm Unisize 180 pcs. ESTOVK20(size) Overall with hood: Hood, cuffs and ankles with elasticated finish, zip fastener XS-XXL 20 pcs. ESTMEA-210-1 Face mask with earloop 600 pcs.